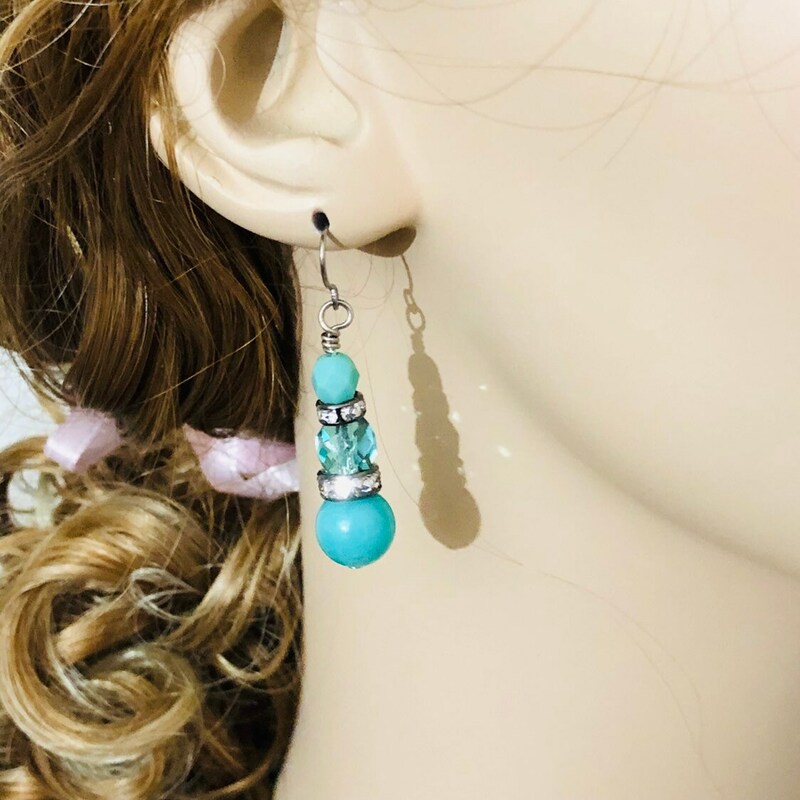 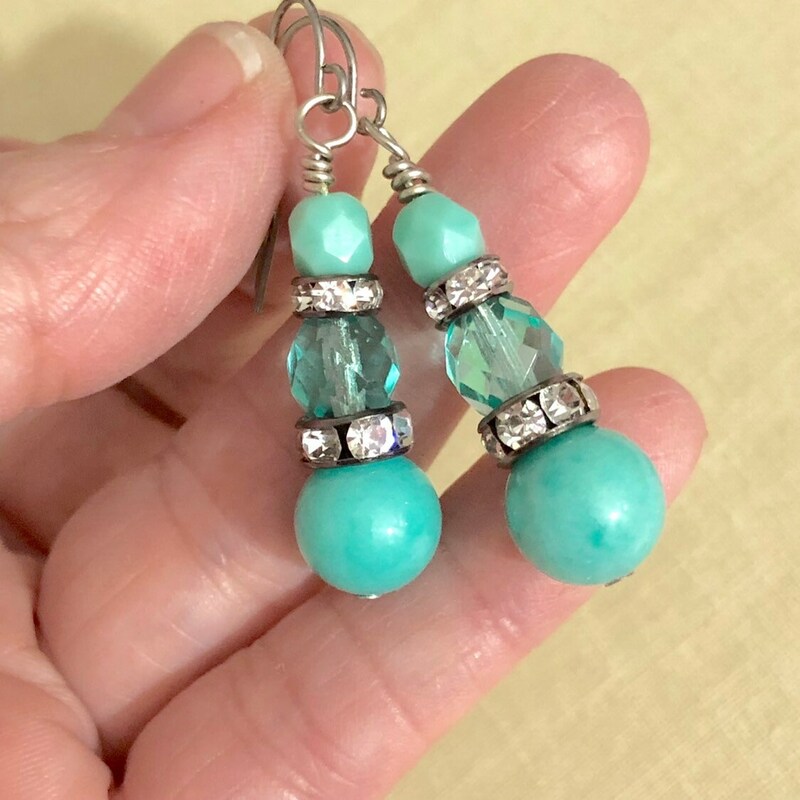 Dainty and yet glamorous earrings with a shimmering aqua center flanked by vintage style rhinestones are the perfect paris chic touch for your ear lobes. 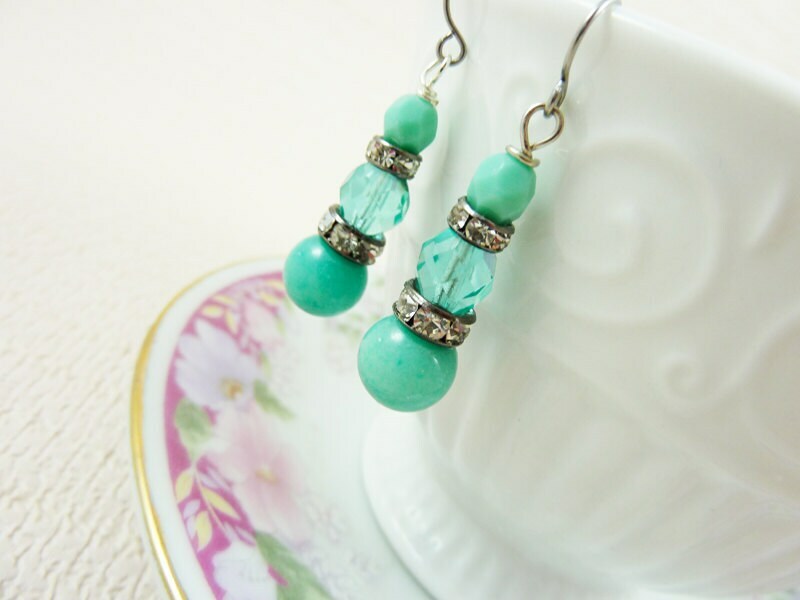 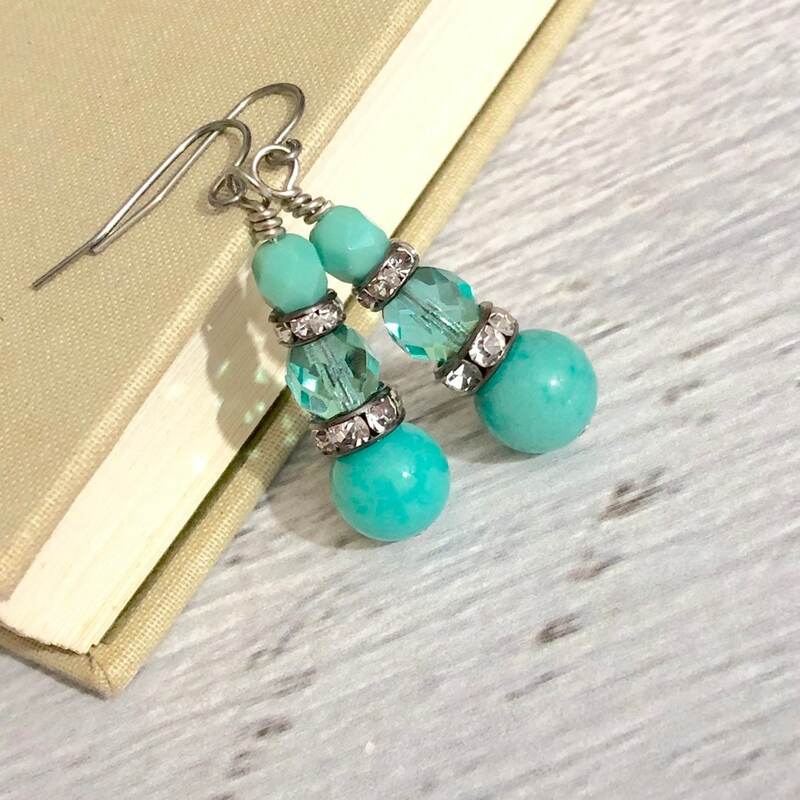 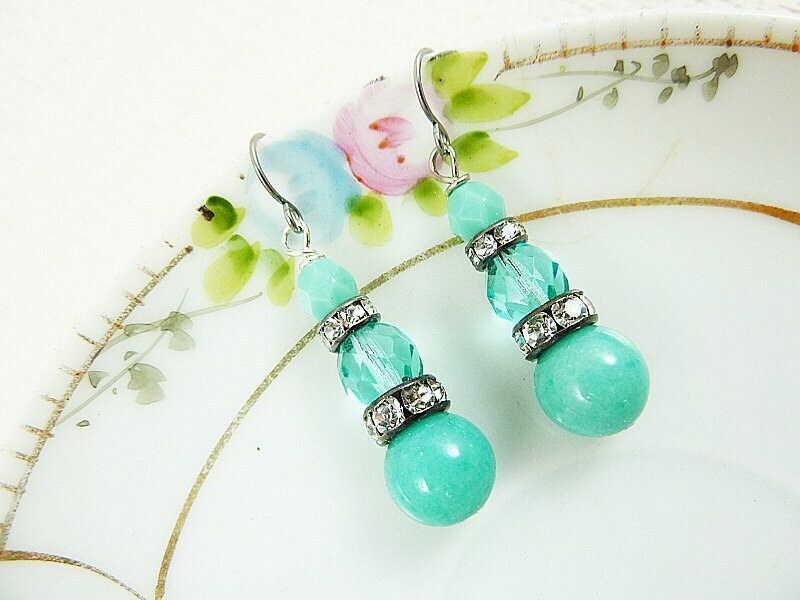 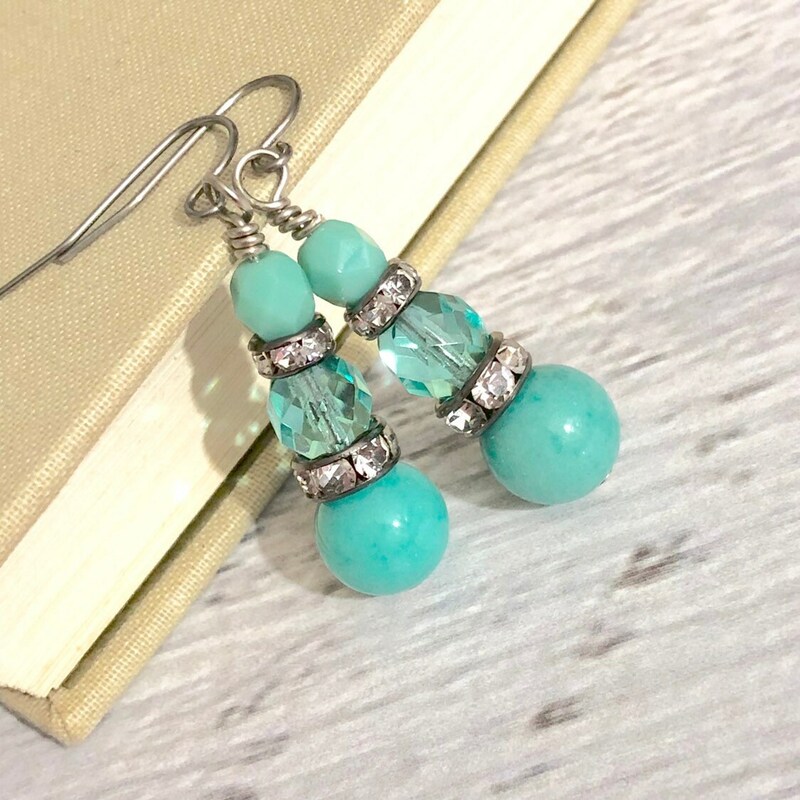 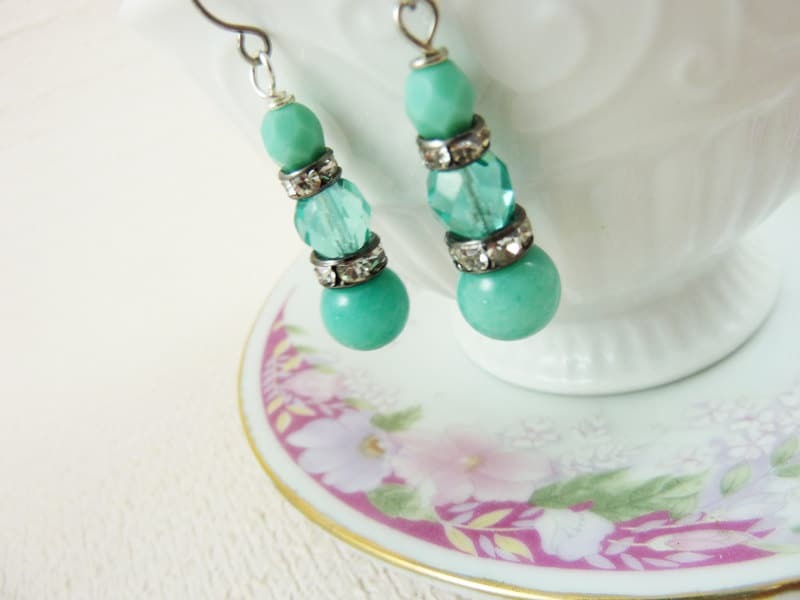 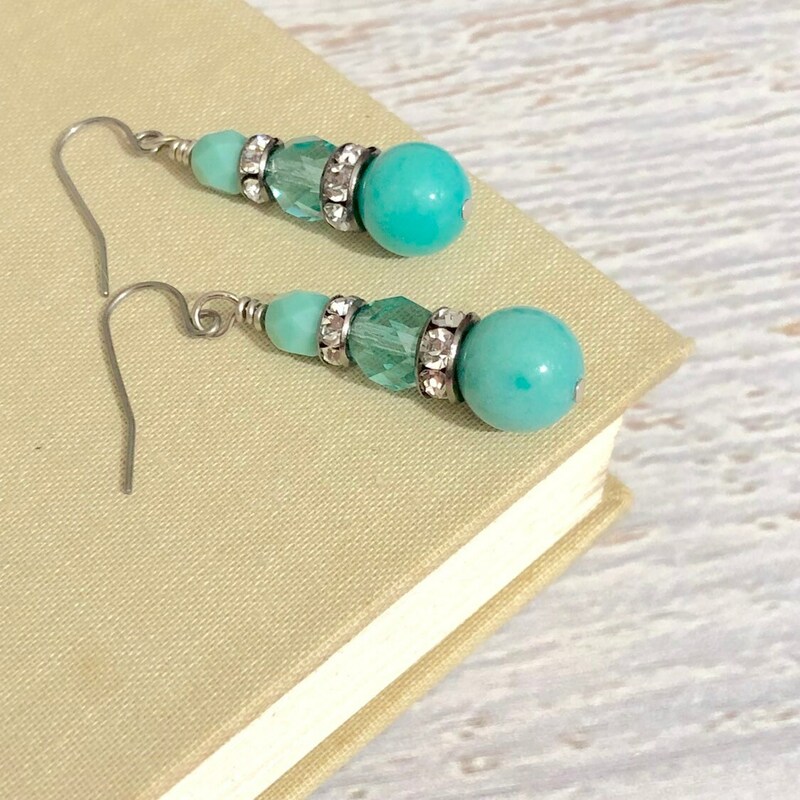 These Aqua Glam earrings measure approximately 1 5/8" from the top of the ear wire to the bottom. 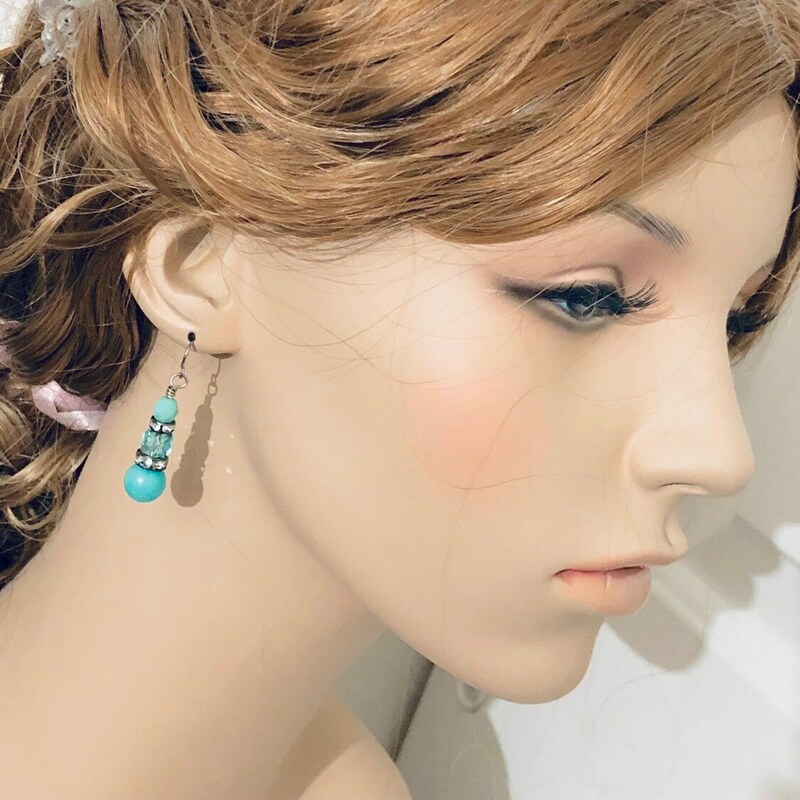 The ear wires are surgical stainless steel (hypo-allergenic).